If there is one main barrier which prevents people who want to volunteer from doing so, it is red tape. 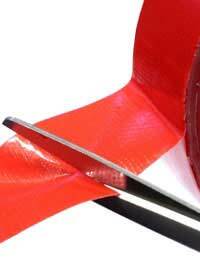 Red tape exists is so many areas of our lives but within volunteering it seems to be all-pervasive. Perhaps it is to prevent people being taken advantage of who work for free or perhaps it is merely a symptom of today’s litigious society, but red tape wraps itself around volunteering and means anyone who really wants to get involved in charity work and helping others has to jump through many, many hoops to do so. For anyone who works with children, CRB checks are the main piece of bureaucracy they will have to deal with. Although the intention of these criminal records bureau cannot be faulted in any way, the fact remains that because they cannot be transferred between organisations, they are an expensive and time consuming piece of paperwork. They really need to be streamlined so that people who want to work with children and help children can do so – in safety for both them and the youngsters – but without having to be checked time after time after time. Hours worked can be a very tricky area to deal with if you are a volunteer. While you may be happy to work as many hours for your charity as you like, they may not be allowed to let you. They will have to make sure they register every volunteer and make sure that they do not work too many hours without payment. Whether this is to protect them or you who knows. But this rule may stop charities from getting very valuable help from very valuable people. Charities get to pay a reduced rate of tax on some items – and volunteers’ expenses are one. It is natural that while volunteers are willing to work for free, they will not want to be left out of pocket for any expenses which they incur during the course of their work. But complicated tax rules mean that charities have to itemise every single expense – not always easy when volunteers may not have the time to fill out lengthy pieces of paperwork in addition to the time they already give to the charity they help. Simplifying this would help volunteers to spend all of the time they give up on work for their charity directly rather than paperwork. There are many other pieces of red tape revolving around volunteering and who is allowed to do what. Sports coaches, for example, have to make sure they have insurance – usually covered by registering with the sport’s governing body – before they even start a warm up. The same is true of referees who give up their time for amateur matches. Some charities may even need people to have security clearance before thy can start working for them, and every charity will be ruled by regulations and other pieces of legislation which are there to stop people from taking advantage of each other. But the sad reality is that as well as this, they also discourage people from volunteering and stop charities from getting the help they really need.